10 minutes of cooking on the stove. Uses heat retention technology to "cook by itself". 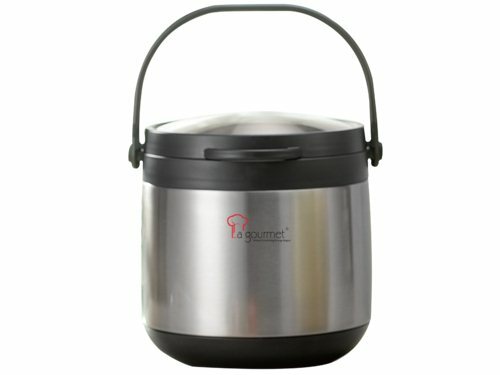 Keeps warm up to 6-8 hours. Retains the original flavour and nutrients of the food. 18/10 stainless steel exterior and interior. Inner pot suitable for all types of stove.